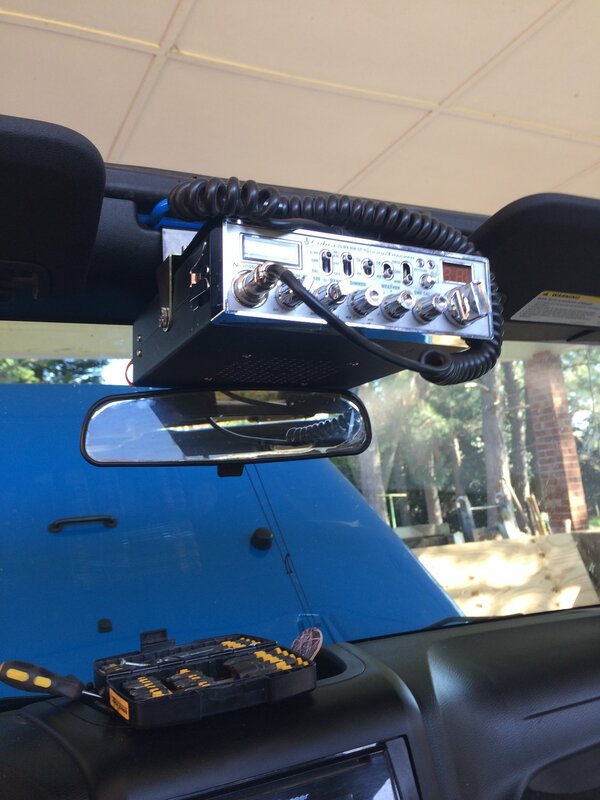 Are you looking to install a CB radio in your Jeep JK Wrangler in an accessible area? 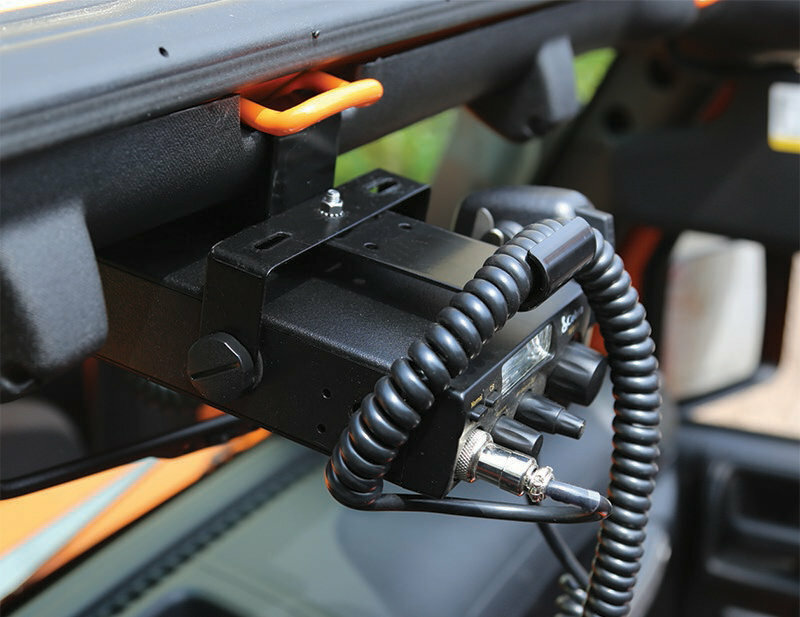 The Rugged Ridge CB radio mount offers you this easy to install solution. The CB radio mount conveniently mounts over the rearview mirror for an easy reach. Made from durable black powder coated steel, now your CB is attached high and within reach without having to take your eyes off the road or trail. 1. Minor drilling required for 07-10 JK Wrangler, no drilling required for 11-up JK Wrangler. Sturdy mount. Easy install in my 2017 JKU. Descent mount. You have to offset the radio installation from the frame mount or the driver’s side sun visor will rub. Needed to trim the interior panel around the Footman’s Loop to get a clean fit. I have a Cobra Classic CB Radio, which is larger than the typical Uniden radio or whatever radio is pictured on this product page. How will that fit this mount?